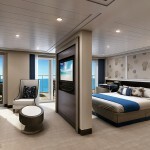 Regent Seven Seas has unveiled plans for the largest, and almost certainly the most expensive, cruise ship suite in the world. 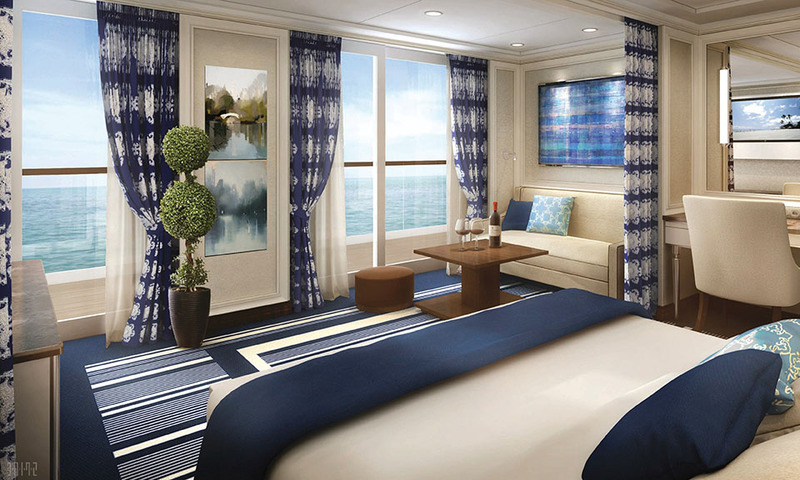 This all-suite, all-balcony ship will carry just 750 guests, and will have the highest space ratio in the cruise industry. 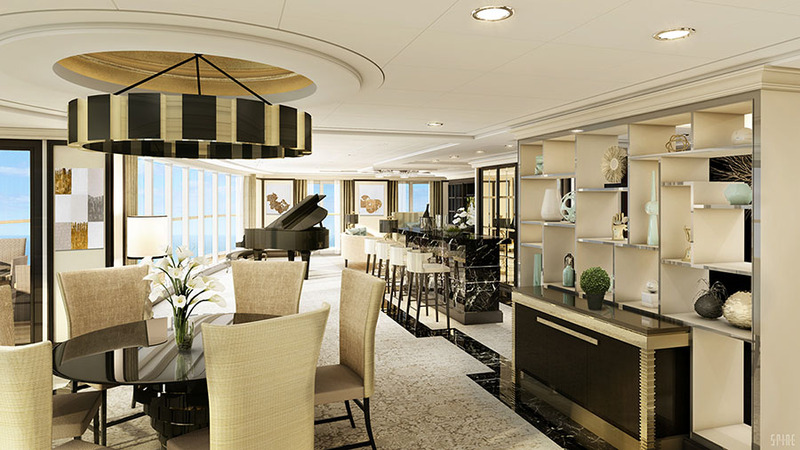 The Regent Suite (sleeps two), will grace Seven Seas Explorer when it launches next year and will measure a staggering 3,875ft²/360m² – almost four times the size of an average family home (1,042ft²/97m²). 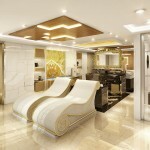 It comes complete with a spa retreat, a first at sea, with a sauna, steam room and treatment area. It will also have two elegant bedrooms one with a wall of windows, and a sprawling living room with a custom-made Steinway Arabesque piano designed by Dakota Jackson. 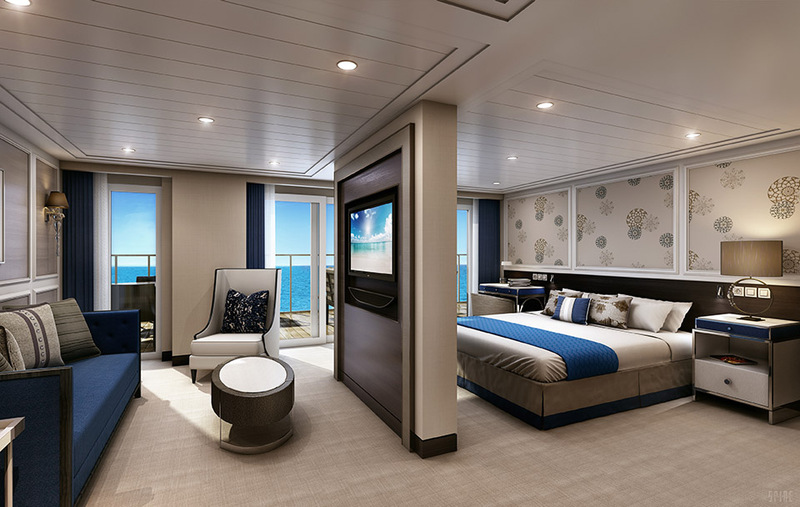 The suite will be located near the top of the ship overlooking the bow, and will have an outdoor, glass-enclosed sitting area called the Vista Garden, to take advantage of the 270 degree view of the ship’s bow and over the horizon. 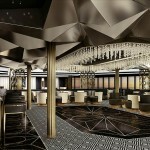 The ship will offer three distinct specialty restaurants, including the fleet-wide signature steakhouse, Prime 7, highlighted by dark purple hues and silver accents reminiscent of a London private members’ club. 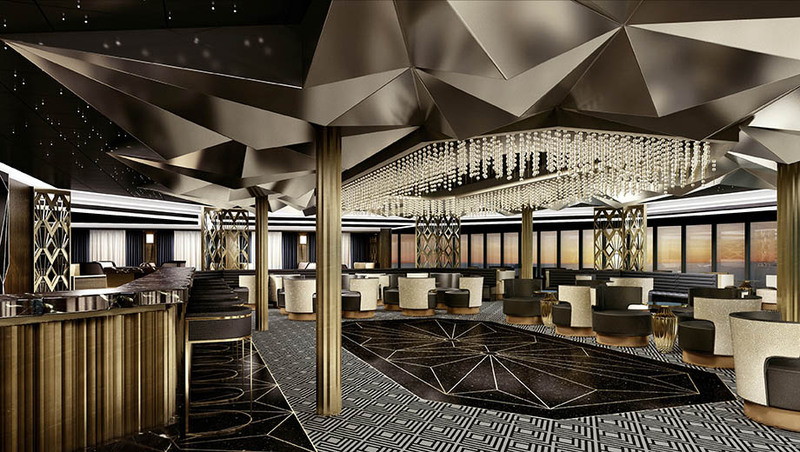 The main dining room, Compass Rose, will have a sophisticated contemporary look with an airy design motif and a whimsical grotto feel. The Italian Riviera-inspired La Veranda offers a buffet for breakfast and lunch and transforms into an elegant fine dining restaurant, Sette Mari at La Veranda, each evening for dinner. Guests will need to have deep pockets. 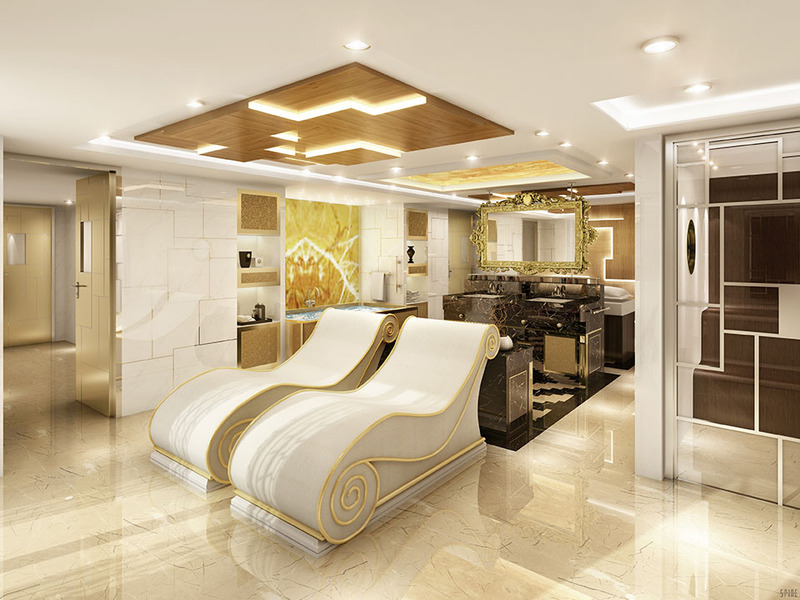 A berth in the Regent Suite on the ship’s inaugural 14-night cruise – from Monte Carlo to Venice on July 20, 2016 – costs £42,799 per person. That is a whopping £85,598 – or just over £6,114 a night. 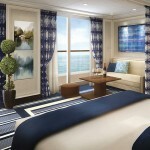 For a typical 10-night cruise, the suite will cost £27,379 per person. That’s £54,758 in total – or £5,475 a night. 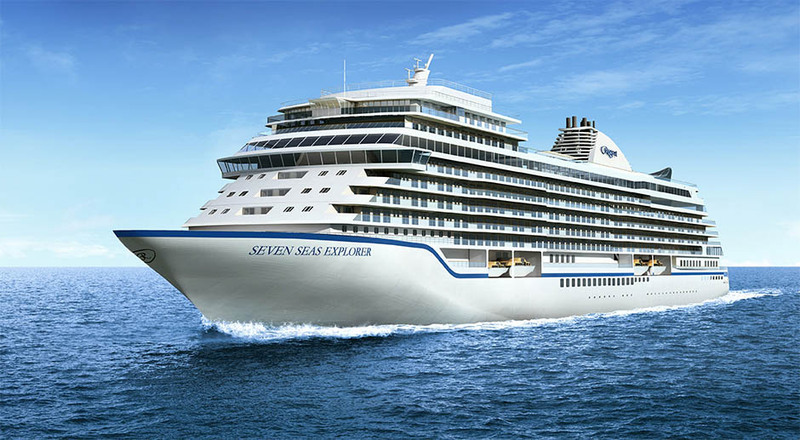 What’s included in this cruise: Flights – business class if you choose the Penthouse Suites or higher, unlimited shore excursions, a one-night pre-cruise luxury hotel package in concierge suits and higher, free WiFi internet access in Concierge suites or higher, unlimited beverages including fine wines and premium spirits, open bars and lounges plus the mini-bar is replenished every day. Gratuities are pre-paid, ground transfers, 24-hour room service and dining at the Specialty restaurants.